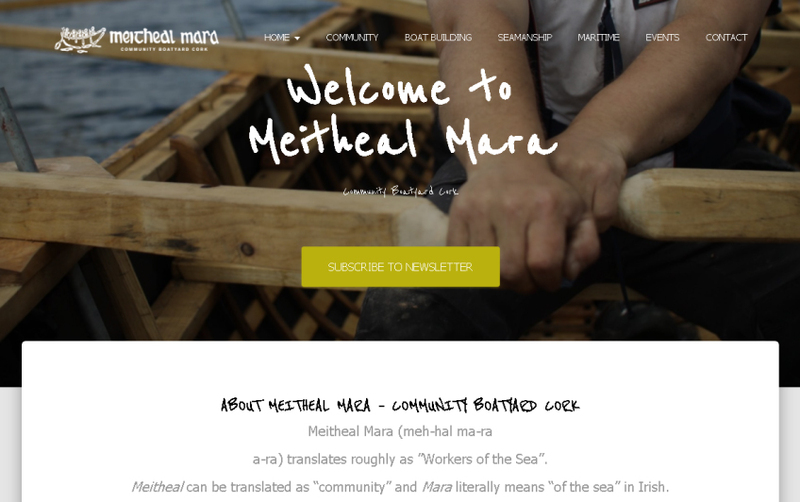 New website for Meitheal Mara! Duties to include: General accounts including payments and receipts books. Answering calls, filing, photocopying and other ad hoc duties as required. Knowledge of Microsoft Excel would be an advantage. 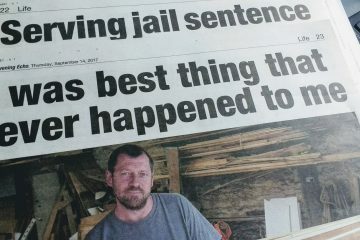 A good standard of oral and written English required. 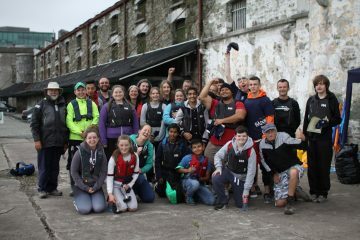 In July and August our Bádoireacht team ran a rowing programme for young people living in Direct Provision together with young people from the Neighbourhood Youth Programme and St. Joseph’s Foroige group in Mayfield. 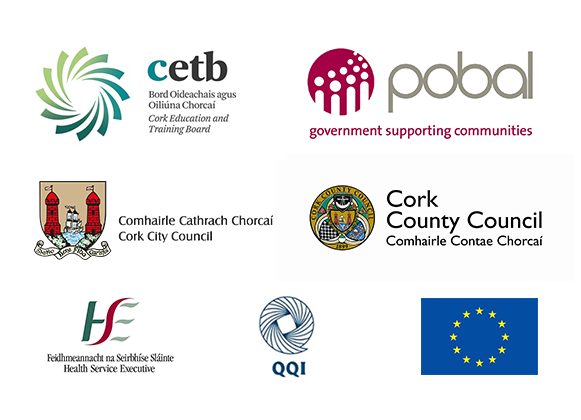 This programme was funded by the Department of Justice and Equality through their Integration Funds Unit. In total 28 young people took part in the rowing sessions over a six-week period. The group experienced rain and strong winds on the water some days but they did not let this deter them, instead working hard to control and steer the Dunfanaghy currachs in the unfavourable conditions. All the participants were presented with certificates of completion at the end of the programme in August and many of them immediately signed up to the Inaugural Bádóireacht Rowing Camp to continue developing their rowing skills. In a ‘last hurrah’ before the inevitable return to school, twenty-one young people from all over Cork took part in Meitheal Mara’s Inaugural Bádóireacht Rowing Camp. 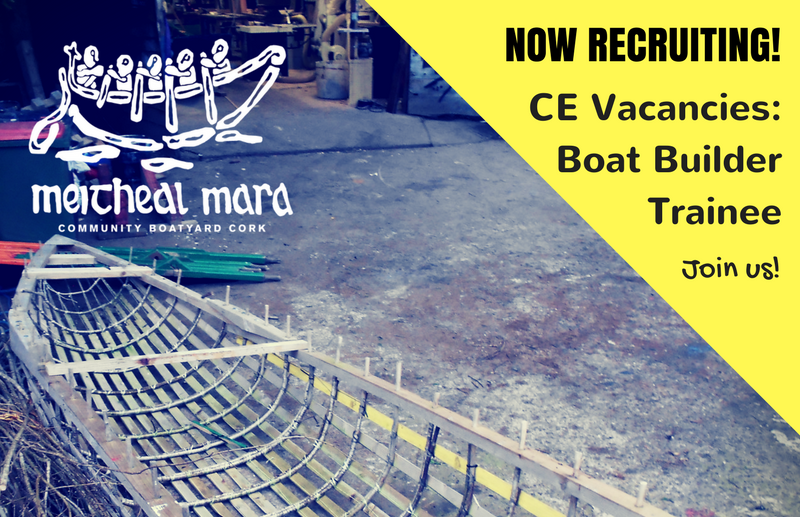 For young people that had already completed a rowing course with Meitheal Mara this Camp gave them the opportunity to develop their skills, to try out different types of currachs and to learn about different aspects of currach rowing. 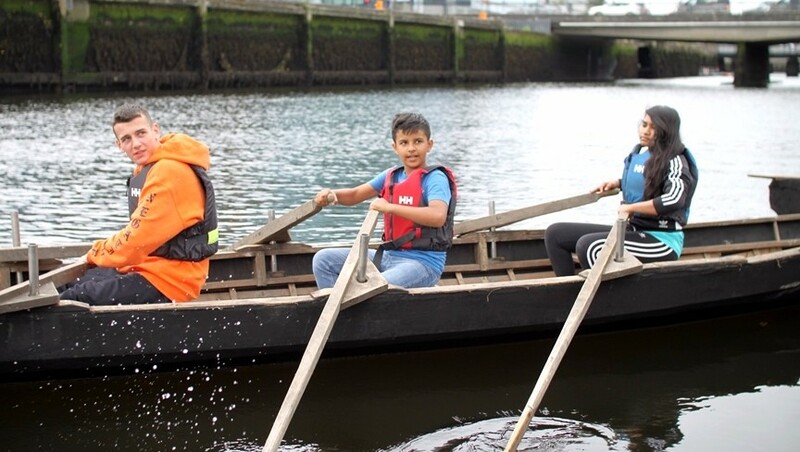 The Camp was strongly supported by Naomhóga Chorcaí, the city’s currach club, with many members of the club volunteering their time to work with the young people and to provide training over the four days. 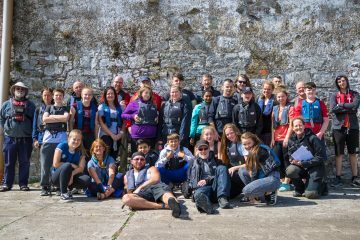 Activities included exploring Lough Mahon by boat, picnic lunches in Blackrock, an introduction to currach racing and treasure-hunting on the River Lee. The Camp culminated in a currach regatta on the last day when the young rowers really had the chance to demonstrate their new skills. The races were hotly contested in all categories: Lads Race, Lassies Race and Óg agus Aosta. Special mention should be made of Leah O’Leary who won the trophy for Best Blisters on the day! The Rowing Camp was incredibly popular with all of the participants. Many of them have developed a real enthusiasm for currach rowing and no doubt will soon be signing up to become members of Naomhóga Chorcaí. This summer we had the pleasure to build a carved oak bench for the newly renovated Nano Nagle Place. The bench was a commission through the Sculpture Factory and the project ended up being a real collaboration – involving many people’s work and effort. Designed by Eli Caamano, the bench was crafted here at Meitheal Mara’s workshop with Bill Scobie, Pat O’Sullivan, Michael O’Connor and Eli herself. The timber and rough shape was first cut by forester Mark Donnelly and later on by tree surgeon Forrest Moore. Native oak was used for the making of the bench. Originally from Tipperary, this impressive tree was lovingly called the ”badger oak tree” because a family of badgers lived in it until it fell down 3 years ago. One branch made it all the way to Ballincollig and then on to Meitheal Mara, and finally – now that she’s become a gorgeous bench, she will be spending her days in the serene gardens of Nano Nagle Place. 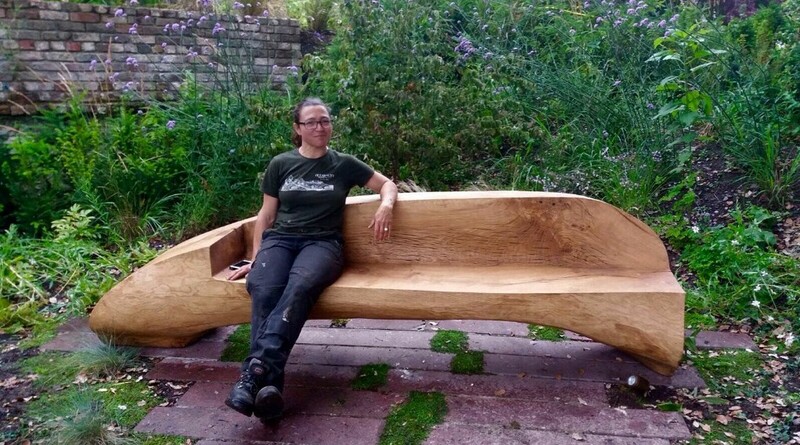 We invite you to visit the beautiful gardens and take a seat on this unique native oak bench! The end of the summer signalled the end of our intern Mirjam’s time with us. Mirjam spent five months in Cork in 2016 and during that time became an avid currach rower. This summer she returned to Cork to complete an internship with Meitheal Mara’s Bádóireacht programme. During her time with us she helped to pass on her passion for currach rowing to our youth groups. She also helped with boat-building groups in the workshop, developed new materials for our TY programme, helped to deliver the Bádóireacht Rowing Camp and even got stuck in to our regular River Clean-ups (phew!). She’s now returning to college in Germany for a rest! 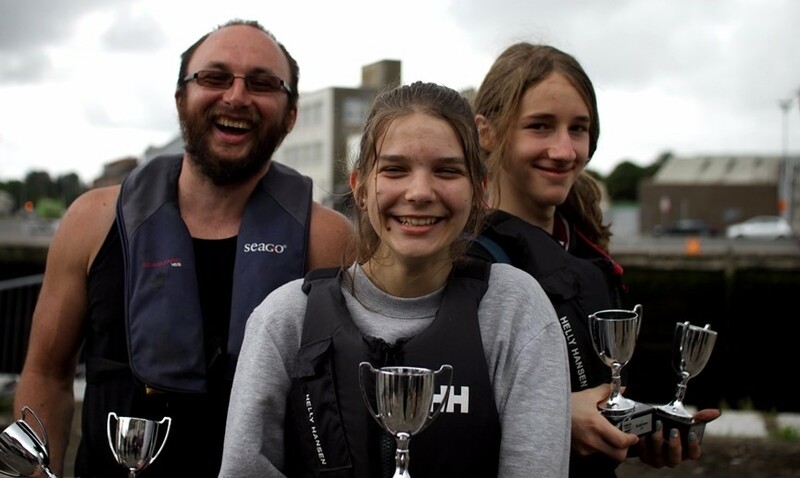 Best of luck Mirjam and we hope to see you back on the water on the River Lee again soon. Meitheal Mara and John and Darina Tully have been carrying out a second survey of heritage boats for Waterways Ireland this summer, on the Shannon Navigation and Shannon-Erne System. This work follows on from the 2016 survey on the Grand Canal, Royal Canal and Barrow Navigation when a total of 183 heritage boats or boats of heritage interest were recorded. A heritage boat is defined as more than 25 years old and of significance because of the way it is constructed or because of its historic connections or other heritage interest. Along with the Canal Boats, Barges and Motor Cruisers that featured in 2016, the survey team is expecting to find small wooden work boats such as Gandelows, cots and brocaun, along with leisure boats for angling and examples of the Shannon One Design dinghies that are raced on Lough Ree and Lough Derg. 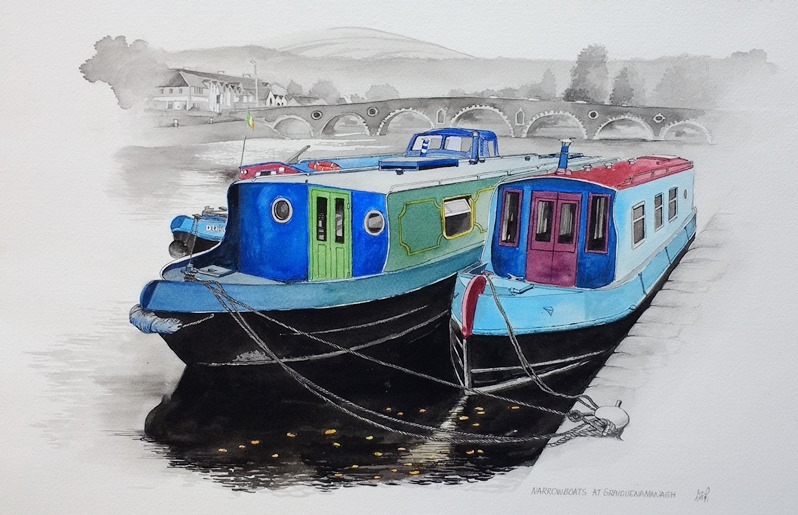 There is a long tradition of boating for pleasure on the River Shannon. 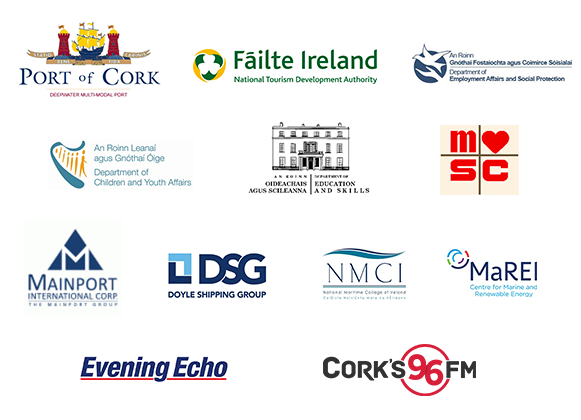 Lough Ree Yacht Club is the second oldest sailing club in the world, and Carrick-on-Shannon Rowing Club and Athlone Boat Club are among the first recorded rowing clubs in Ireland. The report of the 2016 survey is available here. The heritage boat survey team can be contacted via Meitheal Mara’s office at 021 4316813 or by emailing projects@meithealmara.ie. Just like the teachers and students Meitheal Mara finds themselves going Back to School this week. Meitheal Mara will be delivering a course on ‘Currachs; their Heritage and History’ to Transition Year students in Coláiste Daibhéid for the third year running. 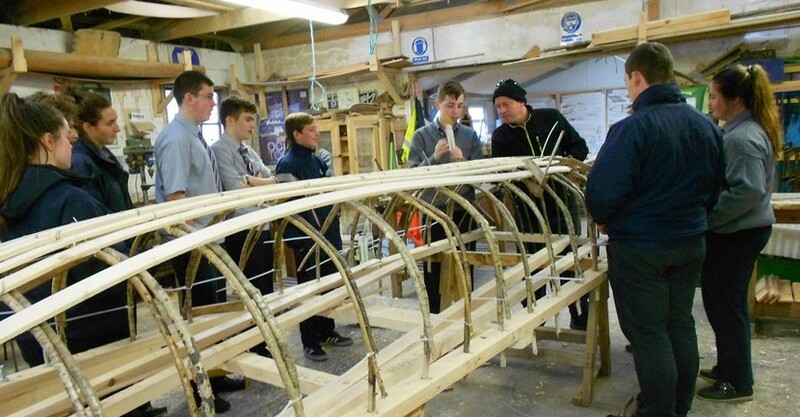 The course sees the students learning about the importance of currachs to Irish coastal communities, building a model currach, completing a research project on currachs and taking to the water to try their hand at currach rowing themselves. This unique course has been incredibly popular with the students over the past two years and we look forward to working with the current Transition Year students of Coláiste Daibhéid in the coming months.